Large cakes and tray bakes can be pre ordered and we also stock some very tasty chocolate caramel shortbread, yogurt topped flapjack with blackcurrant and chocolate cake to to take away or enjoy here with your coffee. 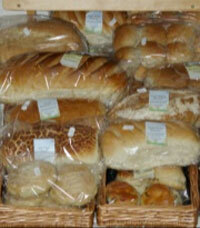 Home made sausage rolls, savoury tarts & pasties. Coming soon home made hand raised pies. 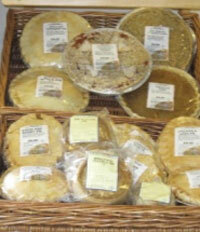 Special occasion cakes and catering sizes of some pies can be pre-ordered, please ask in the shop.